The Samsung W2018 is likely to launch on December 1. Those who were born in the 90's must have used a flip phone at one point in their life. While flip phones were considered cool once, the trend slowly died with the arrival of touch-screen smartphones. That being said, there is a possibility that flip phones are coming back in trend with Samsung working on its flagship W2018 flip phone. The smartphone has been the talk of the town for quite a while now. From images to promotional posters, it has already appeared in a handful of leaks. 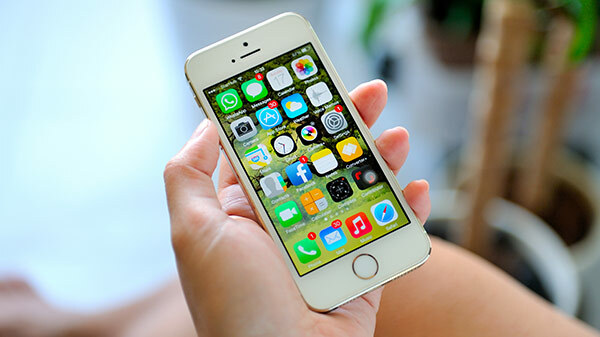 Going by the latest rumor, the smartphone will get launched on December 1. 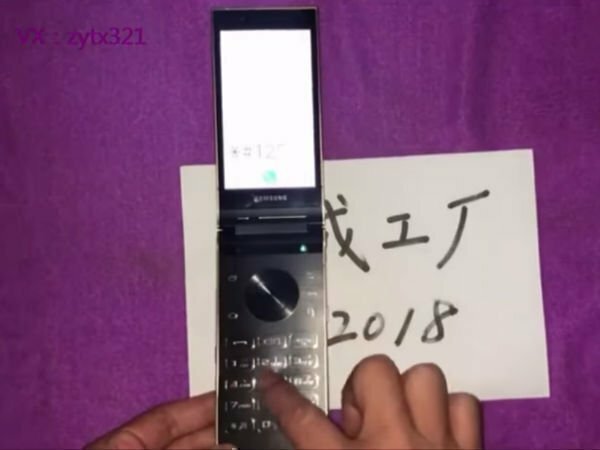 Now, the Samsung W2018 flip phone has featured in a hands-on video posted on YouTube. 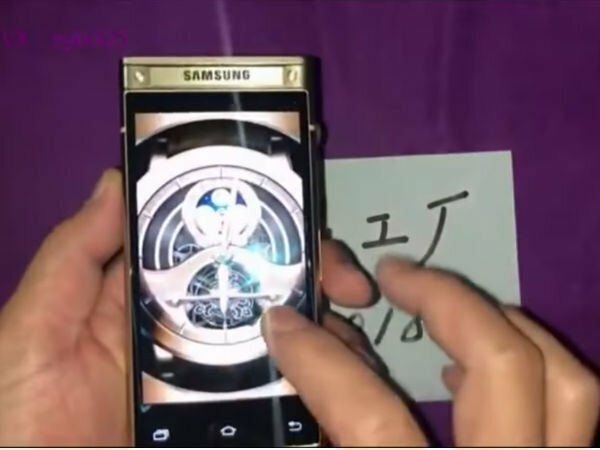 Since the video is in the Chinese language, we couldn't decode all the information about the device. 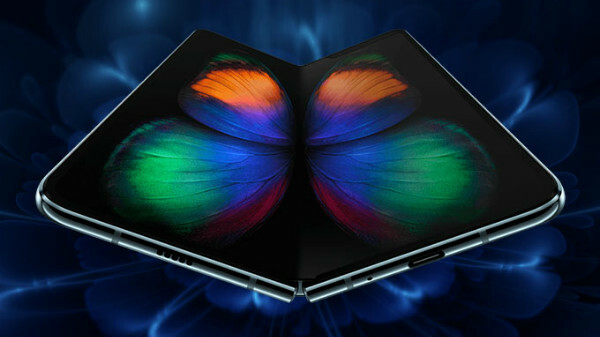 On the positive side, the design of the smartphone has been revealed entirely. From the looks of it, the Samsung W2018 sports a metallic body, giving it a stylish as well as premium appearance. As it was reported, the device does come with two displays of the same size. One is placed on the top of the phone, and you can see the other one when you flip open the phone. So basically, there is a touch display on either side of the flip part. The outer part of the flip phone is fitted with a set of physical navigation buttons. On the rear panel, there is a single camera module along with a heart rate monitor and a fingerprint scanner. The Samsung W2018 also features a backlit physical keypad. As per the rumor mill, the upcoming flip phone from Samsung will come without a 3.5mm headphone jack, rather it will house a USB Type-C port. The existing reports also claim that the Samsung W2018 is powered by a Qualcomm Snapdragon 835 processor teamed with 6GB of RAM and 64GB of inbuilt storage space. Talking about the cameras, the device is said to feature 12MP primary sensor with an aperture of f/1.5 and a 5MP selfie shooter at the front. In addition, the Samsung W2018 is likely to run on Android Nougat out of the box and pack a 2,300mAh battery inside. 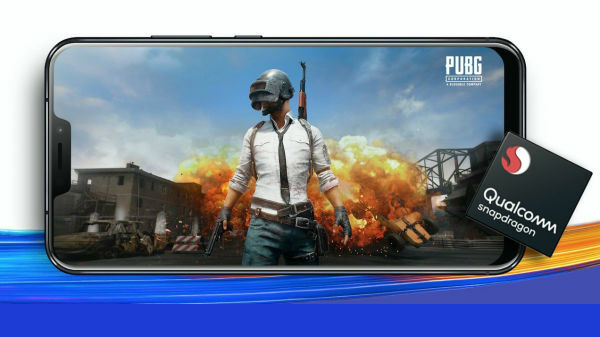 You can see the hands-on video of the smartphone below.